For Picton appointments phone the Blenheim office. Noel Templeton hold a clinic every second Tuesday at the Picton Medical Centre. Opening hours 8.00am to 5.30pm Monday to Friday. Our primary goal at Edge Physio is to get you back on track as soon as possible. Highly qualified, experienced Physiotherapists treating you in a comfortable and friendly environment will empower you to get back on track. Whether you rolled your ankle last night at touch or have had a ‘bad back’ for years, we want to help you. Through a thorough assessment we will get to the cause of your pain or problem. Marlborough Podiatry intends to get you that one step closer to your personal goal. Come in and take a load off, you will be amazed at how relaxed and refreshed you feel. Our aim is to give you consistent, quality health care to reduce pain, enable more mobility and get you a step closer to realising your own goals to success. Registered Osteopath, Debby Murphy, uses a wide range of gently osteopathic techniques to help people of all ages with a wide variety of conditions and symptoms, such as: low back pain, sciatica, neck and shoulder pain, headaches, sporting injuries, arthritic pain, etc. Treatment times are between 45 minutes and 1 hour. ACC accredited, no referral needed. 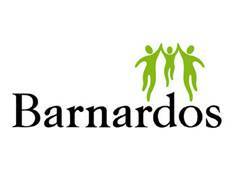 The team at the Blenheim Barnardos office provides a diversity of social services in response to the needs of children and their families in the Marlborough community. Hours: 9.00am – 4.30pm​. The Marlborough Sounds Community Vehicle Trust is now operational and residents from Picton and the Marlborough Sounds who have medical appointments in Nelson now have the option of taking a community vehicle. Contact the Trust for more information. 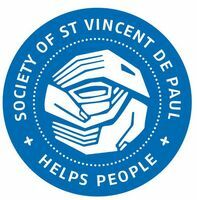 Each year the Society of St Vincent de Paul Society reaches out to thousands who suffer from loneliness. A personal visit from a SVDP member can make a huge difference to those who are isolated. If you need help, or if you know someone who needs help, please make contact with the Picton branch of the Society at their shop on the High Street.